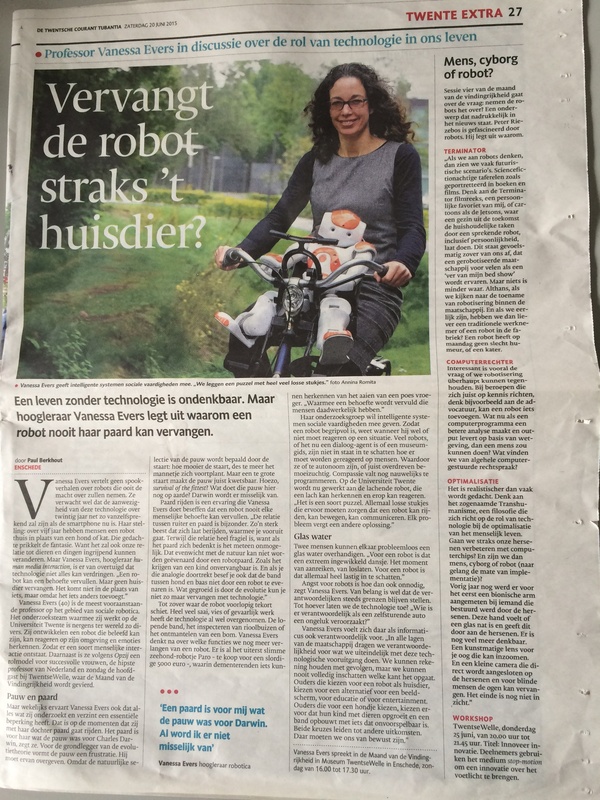 An article of 21 June 2015 about social robots in the local newspaper Tubantia. it was to prepare for a public lecture at the Museum Twentse Welle. But I never gave it because of a small accident which landed me in the hospital that day. Oops!